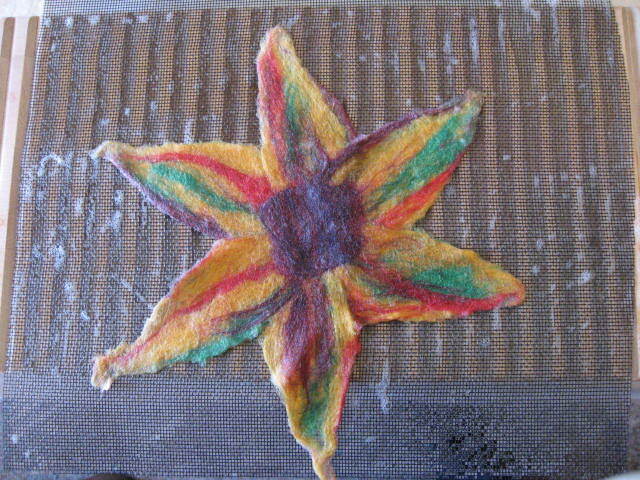 This is my paradise flower after initially laying out the wool fibers. Here’s how it looked after adding soap, hot water, and some mild pressure. And, after smacking it around for a time, here’s the finished product! It can be my paradise prop. Whenever I need an attitude adjustment, I’ll just clip this little number into my hair and transport myself into the realm of appreciation and joy! Visit http://www.corazon.typepad.com/ for more Postcards from Paradise. ~ by Dawn Elliott on May 8, 2011.
may your day be heart warming…. That’s beautiful Dawn. Hope Mother’s Day was a good day for you. I would wear that in my hair as well. Have a great week. Good job. It is beautiful. I love felt creations. 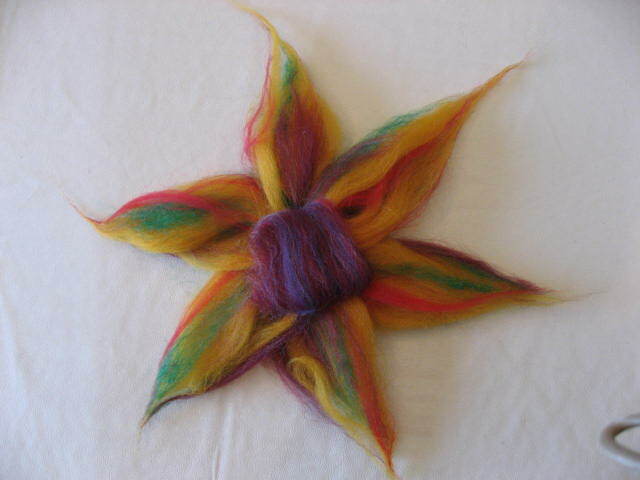 I have a friend who does felting but I have not seen anything this beautiful . Well done, so pretty! I LOVE seeing transformation! Thank you. Oh, I like that. What a colorful and positive way to inject good juju back into your life when life wants to bring you down. 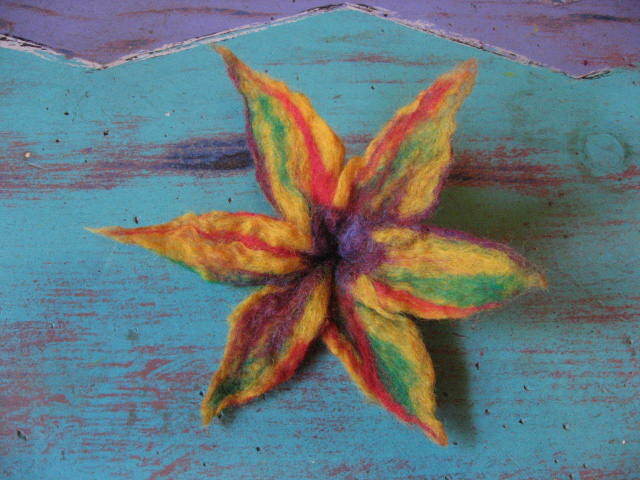 I have never tried felting, but maybe I will sometime after seeing your beautiful paradise flower.